When Nadia was researching graduate schools, she was looking for a rigorous program that would give her a holistic academic experience. Johns Hopkins SAIS checked all of the boxes by offering economics, international relations, and language studies. Moreover, she knew that she wanted to pursue a career in economic development after graduation and she was confident that the school would equip her with the right skill set to enter the field. Nadia’s first introduction to the school’s community was through an information session held concurrently with a SAIS Europe alumni event, at the Austrian Ambassador’s residence in London. It was there that she realized that the school would offer her exactly the kind of community that she wanted to be a part of. Prior to her graduate program, Nadia studied Political Economy at King’s College in London. She also interned with the Ministry of Defense in Malaysia directly under the Defense Minister himself where she worked on the Sulu Seas Trilateral Agreement between Malaysia, Indonesia and the Philippines, which stimulated her interest to work in socioeconomic development in Southeast Asia. One of Nadia’s favorite classes so far has been “US Security Policy in the Asia Pacific” which weekly brought an expert to the school to discuss a specific topic. Additionally, the openness and willingness of the school’s professors to assist students, whether academically or professionally, has been something that she has appreciated. Outside of the classroom, Nadia said she is constantly amazed by the abundance of opportunities that are offered in Washington, DC, allowing her to explore her academic and professional goals. For instance, Nadia freelances for the Center of Strategic and International Studies, where she assists with the Center’s Asia Maritime Transparency Initiative project. This summer Nadia is working in Jakarta, Indonesia with a fintech startup, DuitHape – which aims to increase financial inclusion in Indonesia through mobile banking. Nadia is monitoring and evaluating the social impact of their product in the country. 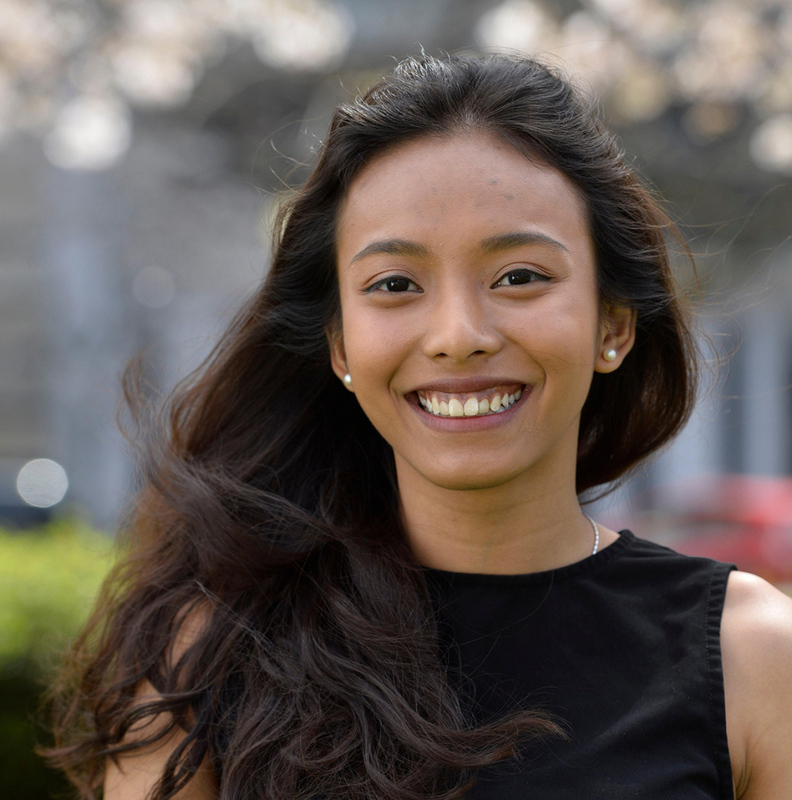 After graduating, Nadia plans to use the quantitative and analytical skills to work in development, preferably with a regional focus on Southeast Asia in multilateral institutions such as the World Bank, Asian Development Bank or the International Monetary Fund.